Surprising to many will be the reason why the Raile's left Plochingen, Germany to migrate to Southern Russia. Many emigration movements around the early 1800's were motivated by economic and political reasons. However, our ancestors were involved in the revival of Chiliasm, a doctrine which proclaimed the imminent coming of the millennium, that led them to Russia. These religious zealots believed that the end of the world would come in 1836 and the thousand-year kingdom would be established in the East. When Alexander I of Russia vanquished Napoleon in 1812, the Chiliasts believed it was a sign and considered Alexander the "white eagle" mentioned in the Bible in the book of Revelations. In 1815 a prophetess of Chiliasm proclaimed that Russia would be "the haven of refuge for the faithful of the last days." After a successful "emigration harmony" in 1815 from Germany to Southern Russia, Chiliast leaders eagerly organized a number of "fraternal emigration harmonies of the children of God." 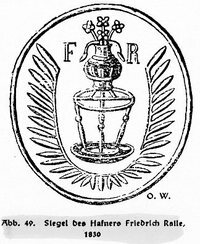 One of the principal groups included the harmony called Oetlingen led by Jakob Lutz - brother of Katharina Barbara Lutz Raile whose husband George Raile was killed in 1812 in the war. Reference for this post: Homesteaders on the Steppe, Joseph S. Height. The last post spoke of Christian Reyhle's son Fredrich who was born in 1767. His descendants can be traced to Zanesville, Ohio. Another son of Christian is George Reyhle (Raile) who was born in 1772 in Plochingen Germany (Wurttemberg). He married Katharina Barbara Lutz in 1789 and they had at least eight children. 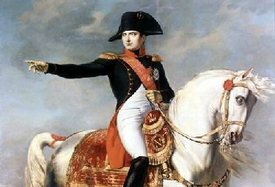 About this time Napoleon was waging war against Austria and Russia. Around 1807, Friedrich of Wurttemberg supplied conscripted troops to him. In return, Napoleon rewarded Fredrich by making him King of Wurttemberg. One of those conscripted soldiers was George Reyhle (Raile). The History of Plochingen by Otto Wurster states that George "im feld in Frankreich geblieben" - died (remained) in the fields of France. Church records indicate that his death was on September 14, 1812 at the age of 45. One day later, his daughter Sibilla Regina Raile was born in Plochingen. By the way, this about the time when the spelling of the family name changed to Raile consistently. Be sure to return to learn about the amazing journey the widow of George Raile took with her family. Johann Christian Reyhle, the grape grower, married Rosina Catharina Minsinger. When she died at the age of 50, he married another Rosina. With the first Rosina, he had eight children. Two of these children's descendants can be traced to present day. They are (Johann) George and (Jacob) Friedrick born 1767 and 1772 respectively. George's line can be traced from Plochingen, Germany, to Neudorf, Russia and then to St. Francis, Kansas (and are referred to as the Black Sea Germans). Friedrick's line can be traced from Plochingen, Germany to Kansas, to Wauseon, Ohio and then to Zanesville, Ohio. The History of Plochingen by Otto Wurster, says that Friedrich Raile's family were potters, a skill that was taken with them to United States where they finally settled at Zanesville, Ohio, home of Roseville pottery. If you have a piece of Roseville pottery, it may have been made by a Raile. I will expand on the Raile's in Ohio at a later time. I will talk about George in the next post. 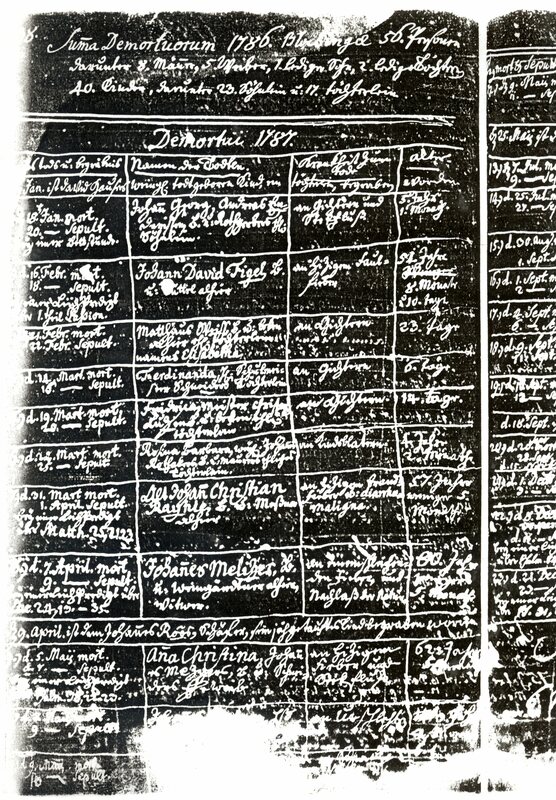 Gallus Railin, born in 1550 in Nellingen, Wurtemberg (Germany), is the oldest Raile found in church records. His son, Johannes Reyle, born 1593, and his grandson, Bartholomeus Reyle, born 1614, were also from Nellingen. Bartholomeus's son, Johannes Reyle, born 1668 In Nellingen, moved south to Scissen, a parish village in the neighborhood of Blaubeuen. Christian Reyle, son of Johannes, was born in 1698 in Scissen (Blaubeuen) and married Helen Rosina Ehninger. At some point he moved to Plochingen where he died in 1787. Johann Christan Reyle, son of Christian and Helen Rosina, born August 27, 1730, was a grape gardener and a sacristan (a person in charge of the church sacristy - which is a room housing the sacred vessels and vestments of the church). Johann Christian's first wife was Rosina Catharina Minsinger who died at the age of 51. His second wife was Rosina Margaretha Rothacker, daughter of Jacob Rothacker who was a masoner (sic). To see a map locating Plochingen, Nellingen and Blaubeuen (Scissen), click here. Many of us who live in the United States have struggled with our last name, Raile. Surprisingly the spelling never changed to match the pronunciation. For over a century, we have corrected strangers who say tentatively "Rail." We in turn say, "No, the "ai" is pronounced as "i" like the Irish Riley's. And then they say, "Oh, are you Irish?" We then say, "No, I am German and if we were in Germany, we would be pronouncing it with a "long i." I have found a few lines of the family who did change the pronunciation to Rail, but still spelled it Raile. But for the most part, the name has stayed the same since the late 1700's. Before that, spellings of the name found in church records include Rayhle, Reyhle, Reyle and Railin. 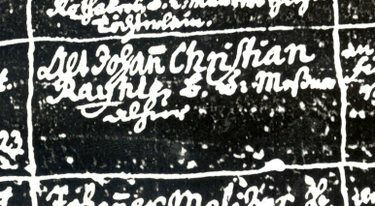 Above is a copy of an entry in the Plochingen, Germany church recording the death of Johan Christian Rayhle on March 31, 1787. Click here and a link will take you a copy of the entire page. My family history starts with these three men: my father - Raymond Raile, my grandfather - Gottlieb Raile, Jr. and my great grandfather - Gottlieb Raile. I started documenting their lives and the lives of their immediate families back in the 1980's (pre desktop computers). I ended up with a book that was good looking for family history books at the time, but a rather pathetic looking piece of work today. The Raile Family History book was done on a typewriter and the photos were placed with hot wax. The crude graphics were from various sources that I found and copied on the Xerox machine. Kinko's made a few hundred copies for me and they were distributed to various family members at $10 each (to cover my expenses). 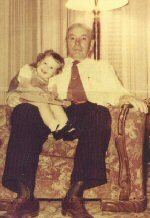 With the advent of the computer and my move to Los Angeles where I had access to the Mormon Family History library, my research grew and extended beyond my immediate three generations of Raile's. I toyed with the idea of rewriting the book. However, at that time I was becoming familiar with building web sites and decided that would be the best way to share what I had found since the book. I was able to secure raile.com domain name which I now cherish. To my surprise, I started getting emails from Raile's around the world who probably searched their family name and found my site. The web site was a huge undertaking, but I got it done and for awhile added new things. Then, like most people, my life took many different twists and turns that took my attention away from genealogy. The web sit sat dormant for awhile. Various people would contact me or ask my mother to nudge me to add new stuff. After several years of ignoring raile.com, I decided to bring all my records out of storage and see what I could do to bring new life to my quest to know "everything Raile." A lot of this was spurred on by Elaine Raile Kite who asked me if I could put together a CD of all the old photos. What a great idea! And I also realized that most of my photos have never been scanned. In some cases I have the original. This is not a good idea for preservation. One huge earthquake in Los Angeles and much of the Raile History would be buried in the debris of downtown LA. So here I am at the beginning of organizing and preserving my family records. To help motivate me, I have started this blog in hopes that my family - immediate and around the world - will help me. 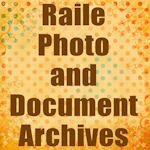 As I am scanning and sorting, I will blog various things and create on-line photos albums and databases. Please feel free to comment, ask questions, and provide new information.